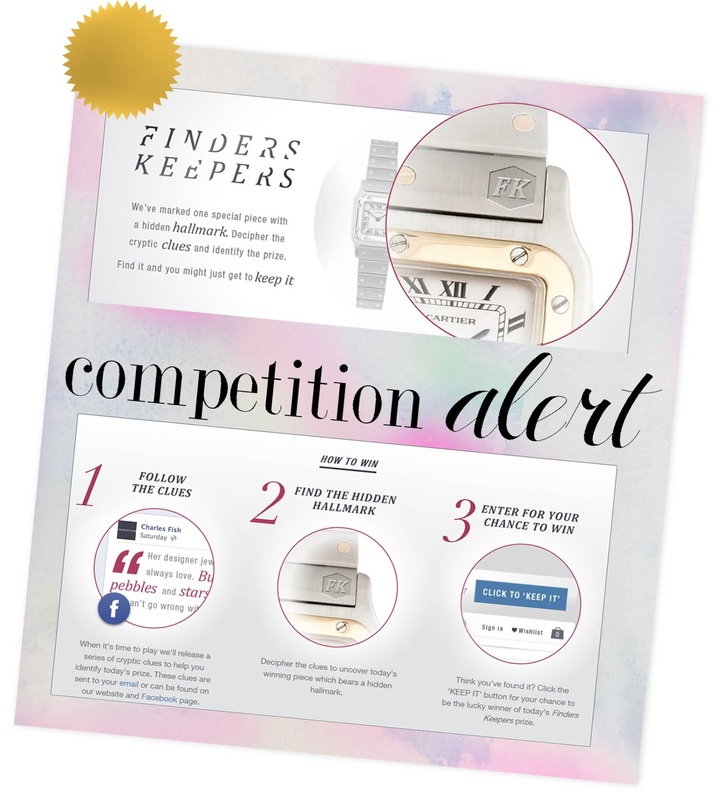 Competition Alert - Finders Keepers by Charles Fish ENTER TODAY! One of my favourite competitions has just begun! For your chance to win a piece of designer jewellery simply log on to www.charlesfish.co.uk/finderskeepers/ and decipher a cryptic clue to find a piece of jewellery, from the Charles Fish collection, marked with the special Finders Keepers Hidden Hallmark! It really is that simple! The very first Finders Keepers competition took place on 21st June and the winner of the competition won a stunning Michael Kors watch! Hurry though as the competition finishes at midnight tonight! Good Luck!